But let’s see if any of those devices can live up to their promises. In this article, you’ll learn how ab stimulators actually work, and the scientific evidence on their effectiveness, things personal trainers and medical experts say, as well as myths and half-truths surrounding these gadgets. We’ll then review the three bestselling ab stimulators. How Do Ab Stimulators Work? How to Use Ab Stimulators? The principle behind ab stimulators is electrical stimulation of the muscles that causes them to contract, and thus, presumably, help them grow and strengthen, substituting regular exercise. Usually, electrodes in abs stimulators press against bare skin and send electrical pulses intermittently to the abdomen (or other parts of the body, if there are more detachable EMS pads that can come with the abs belt). At lower levels, you may feel a slight tingling sensation, whereas at higher levels, your muscles start to contract. Typical descriptions for such devices promise results after 6 to 8 weeks of continuous use for 10 to 30 minutes per day. Few people know that electrical muscle stimulators are regulated by the FDA, meaning that companies advertising or selling such devices must fully comply with the FDA requirements. Unfortunately, in reality, not all firms play by the book. Over the years, the Federal Trade Commission has filed numerous complaints against multiple electronic abdominal exercise belts for false advertisements and misleading claims. Electrical muscle stimulators (EMS) are cleared by the FDA for use in physical therapy and rehabilitation under medical supervision. None of these devices were approved for weight loss, slimming body, or obtaining “six-pack” abs. Nevertheless, some of the claims that the manufacturers of these ab belts make are true. One of the most well-known studies on the effects of electrical stimulation training on abdominal strength and endurance was published in the Journal of Sports Science and Medicine back in 2005, and was specifically conducted with the Slendertone FLEXTM belt (approved by the FDA). The researchers found that the use of the Slendertone significantly increased abdominal strength and endurance, as well as improved self-perceived abdominal firmness and tone. The study suggested that the results could be attributed to the quality of the electrodes used in the Slendertone. Unfortunately, the quality comes with the cost of $100. Also, interestingly enough, the study was funded by Compex Technologies Inc., which engages in the design and manufacture of electrical stimulation products. The fact that the study was funded by the manufacturer of such belts may imply a conflict of interest and biased results. Another earlier published study (2002) in the Journal of Strength and Conditioning Research sought to test some of the statements made by EMS manufacturers, such as decreasing body weight and fat, increasing muscle strength, improving firmness and toning of the muscles. The study concluded that EMS had no significant effect on muscles of a healthy individual. Unfortunately, the abstract of the study offered at PubMed doesn’t state the duration of the research, except that the people assigned to the EMS group underwent stimulation three times per week. Thus, it would be wrong to assume the complete ineffectiveness of abs stimulators given the limited data. Study from as early as 1987 showed that electrical stimulation could be a valuable treatment in the early care of low-back pain in patients for maintaining strength and endurance of back muscles when a more active exercise programs were too painful to perform. A more recent study published in Critical Care and Research Practice in 2012 concluded that using electrical muscle stimulation induced beneficial effects in muscle strength and early mobilization of critically ill patients. This is exactly what the FDA cleared many EMS devices for: treating various medical conditions, including re-education, relaxation of muscle spasms, prevention of muscle atrophy, complications resulting from a stroke, serious injury or rehabilitation from surgery. In 2015, FDA issued a warning on the misrepresentation of EMS devices, alerting that none of them can be used for girth reduction, weight loss, cellulite removal, and bust or body shaping. However, there is still conflicting data among scientific studies, suggesting that EMS or so-called ab belts can in fact contribute to weight loss (although insignificant), especially if used in combination with regular exercise. The 2011 study suggests that EMS can increase energy expenditure depending on stimulation intensity; thus, devices such as these can serve as an additional measure for weight loss. The study, though, was conducted outside of the US, and was funded by the National Science Council of the Republic of China, Taiwan, which, yet again, might imply that some of the research methods can be different to those used and accepted in the USA. Irrespective of these rather discouraging findings, people still use ab belts as complementary devices in their regular exercise routines. The more important aspect in this kind of application is the purpose and expectations of the users of such devices. “It all depends on what goals the buyers of such devices pursue: to pump the muscles of the press, to lose weight, or to get fit with minimum time and effort? I believe that ab stimulators can be effectively used if there are no opportunities for training or as an important component of a physical therapy at the initial stages of rehabilitation after injuries. The abs stimulator will be ineffective for overweight people, individuals with sedentary lifestyle, or those who never trained their muscles. The muscles of the press are usually synergists in physical training and daily activities, and thus, ab stimulators, which only forcefully contract the muscles, won’t help in the development of a neuromuscular connection. If your goal is to lose weight, then the abs stimulator alone won’t help much either: EMS devices cause a calorie burning that is marginal at best. Weight loss is primarily a question of diet and calorie deficit, and only secondly - muscle training (especially large muscle groups). If you think that your stomach is your problem area, then your belly fat will most probably be the last thing to go. If you need to work on your press muscles, then the so-called “Big Three” exercises, such as squats, deadlifts, and bench press, will do a great job. If you still would like to target your press muscles specifically, then you’d better find a certified instructor who can help you find the right exercises, even if you have certain restrictions or medical conditions. You might be tempted to use ab belts to reduce the time and effort spent on physical training, but the effectiveness of such devices is questionable. If you are not totally convinced yet that it’s better to go to the gym to pump up your press muscles, or you just want to give it a try, then here’s a brief overview of the top-3 ultimately popular ab stimulators from as low as $22. The manufacturer guarantees results after 6 weeks of continuous use for 20 minutes, 1-2 times per day every day. There are 6 modes and 10 levels of intensity available. 3 in 1 means the device can be used for the abdomen, arms and legs. The product is lightweight and can be used anywhere, anytime. The perks are one year warranty, 30-day money back guarantee and 10 extra gel pads. The manufacturer guarantees results after using the ab belt for 8 weeks consecutive use for 12 minutes per day, 2-4 times per day every day. The gel pads should be changed after 15-20 times of continuing use. The ab pads can be used for abdomen, waist, arm and leg muscle training. There are 6 exercise modes and 10 intensity levels. Suspiciously, there are 32 5-star reviews that promise miracle results and cures for any type of problem, and all are very recent. 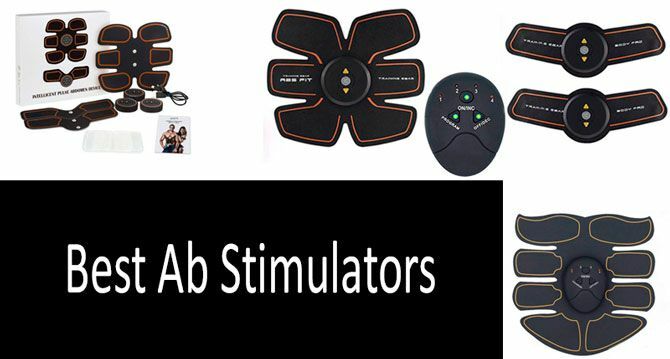 It could be, though, that this abs stimulator really works well, but comments that it helps losing weight or pump up muscles as early as two weeks in continuous use, are certainly alarming and of questionable sincerity. This ab stimulator comes in two versions: the dark blue version is USB rechargeable and the yellow is not. The manufacturer guarantees the results in toning, tightening, and strengthening of the body muscles after 6 to 8 weeks of consecutive use for 20 minutes per day, 5 days per week. The dark blue version has 6 exercise modes and 9 intensity levels. The description under the yellow version unfortunately doesn’t say exactly how many modes and levels there are. We assume that they are the same: from warm-up to high-intensity levels. The gel sheets need to be replaced after the 30th consecutive use. Unfortunately, the information provided for the product is scarce and obviously written by a non-native speaker of English. 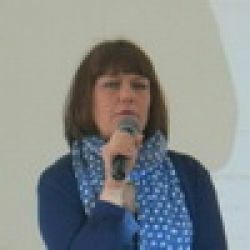 One of the reviewers also commented on a lack of proper instructions in the booklet that accompanied the product, making it really difficult to read and understand. EMS belts are serious devices that can potentially harm the user, so they should be used with caution. It is, therefore, very important to provide thorough instructions and warnings for the product. Sadly, Sportmao stimulator doesn’t offer a comprehensive user guide. Fix the ab stimulator where you want to strengthen your muscles. For example, if you want to work on your abdominal muscles, then center the large middle pad over your belly button, ensuring the smaller pads lay on other abdominal muscles between your ribs and hipbones. Fasten the belt and make sure it fits perfectly on your skin. Follow the instructions for your belt closely and always start from a low-intensity level. Also start small: allow the ab belt to work no more than 10 minutes for the first time and then gradually increase the amount of time spent using the stimulator. If you feel something is not right, turn off your device immediately. Please make sure that you understand that using products not cleared by the FDA can be dangerous. Over the years, there have been multiple reports of shocks, burns, interference with other medical devices (like pacemakers) associated with the use of abdominal stimulators. So, if you think your product is malfunctioning, you should report it directly to the manufacturer or otherwise contact the FDA. 6 exercise modes and 9 intensity levels. 6 modes and 10 levels of intensity; 10 extra gel pads. 6 exercise modes and 10 intensity levels. Does an abs stimulator work if you have body hair? Unfortunately, you will have to shave your body hair for the abs stimulators to work effectively. What are the precautions I need to be aware of before using abs stimulators? You cannot use any kind of EMS devices if you have an electronic implant (defibrillator, pacemaker, etc.) or suffer from a heart condition; you are pregnant; suffer from cancer, epilepsy, or have any other serious mental or physical dysfunction. Make sure you trust the supplier and/or manufacturer of the product. If in doubt, discontinue use immediately. Talk to a certified fitness instructor or medical professional to ensure you can use any such devices. Can I use an ab belt while doing exercises like sit-ups? Yes, you can. This combined approach will highly likely bring you more positive results than using the ab belt alone. Will the ab stimulator give me muscle soreness? Yes, it may. If your muscles are sore, try to switch to lower intensity next time you try your ab belt on. Also, you may as well expect redness of skin, which is natural, since the ab belt increases blood-flow to the stimulated areas. All these symptoms should fade away after some time. But if they persist, discontinue use, report to the manufacturer or talk to your doctor. While promises of a beach body as early as 6 weeks after you start using the ab stimulator are certainly tempting, we advise you to speak to a healthcare professional and/or your fitness instructor and seek their professional advice before buying one. A general rule goes as follows: if you want to lose weight, then you’d better start with a well-balanced diet and exercise; if you want to pump up your press muscles, then go to the gym and start exercising regularly; if you have medical conditions that require using an EMS device, then you will be prescribed one. Simple as that. You can lose weight or work on your abs for your health or self-esteem, but you won’t be able to force nature to stop giving you some of these beautiful curves and folds that adorn and grace your body. So maybe it’s high time you learnt to love those folds back. You have covered all the gym essentials in your post. It is really nice and healthy and informative post.